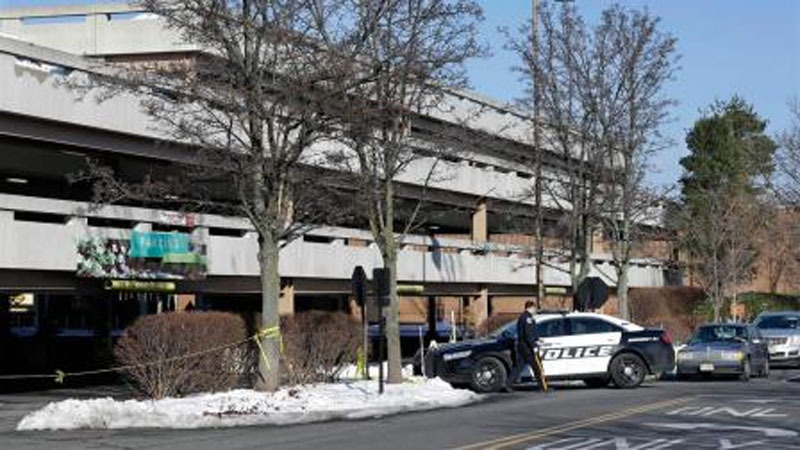 A police officer arrives at a parking garage at The Mall at Short Hills in Short Hills, N.J., Monday, Dec. 16, 2013, where a fatal carjacking took place Sunday. Authorities are searching for two suspects wanted in the deadly shooting of 30-year-old Hoboken resident Dustin Friedland who had just finished holiday shopping with his wife at the upscale mall in northern New Jersey. - high-definition photo for free download.